Voice Carrier Connect provides a more powerful way for businesses to connect, at a much lower cost. Work for Voice Carrier Connect? Learning about Voice Carrier Connect? Ease of use and variety of features. We manage a couple different businesses in our office and can easily route route incoming calls to individual extensions and very easily transfer calls in house between any phone or to someone's cell if they are away from the office. We've had an issue of our voicemail greeting reset itself. Not sure what that was about, but it was easily fixed in minutes. Managing incoming phone calls for multiple businesses under one roof has been amazingly easy. Depending on what number a person is calling, only certain extensions will ring, but calls can still be transferred in house to ANY extension. Also, transferring to a phone or cell that is not part of our system is super easy and the phones will work anywhere there is an Ethernet connection, even if it's not on property. "Voice Carrier is a great team to have on your side." Their rapid growth means that my point of contact has shifted several times over the years. With Voice Carrier we’ve managed to cut costs, unify our several geographically distinct businesses under a single PBX, and customize phone behavior to better suit our individual needs. "Voice Carries provides a robust, inexpensive solution." There is no hardware (other than phones) required on our campus. Sometimes making edits in the cloud website is slow. This product has been extremely reliable and drastically reduced our time needed to manage it. Our man-hours supporting our phone system have been cut by an order of magnitude. Reducing the cost of providing exceptionally reliable phone service with intercom capability. "Normally good with some random outage periods"
Getting voicemail sent to my email, ability to manage voicemail online, routing the different business numbers to ring at specific phones (we have 2 businesses with 4 general office numbers, plus direct numbers for everyone). Random outages...not sure the cause. We had another company set up the phone system. They could have messed it up, they are no longer associated with Voice Carrier. Help connect customers to their goal more quickly. That I call up and talk to a person not a 1-800. I guess we would all like cheaper prices. "User for about 3 years"
The best feature is the technical support. It is always prompt and correct. The IRM, extensions, ring groups, etc., are all pretty straightforward and do not have a steep learning curve. I dislike the reporting. It's bulky and difficult to use. I am rarely able to get the information I need. We've obviously realized a cost benefit. And it has made our multi-site telecom admin a breeze. Your service was recommended by my IT telephone guy. Nothing , I am pleased with the new product and haven't experienced any bugs, yet! best price for all the features that I have been able to find. I especially like the ability to record and listen back to important phone calls. I don't have to have a land line! When we need to reach someone at Voice Carrier, we get assistance immediately. I have nothing I dislike . We have used Voice Carrier for 3 years now and I have no complaints. We have not had an issue. Not a bad thing. Great service, very attentive! Excited to begin working with this new company! Critic’s Choice thanks you! We still need someone to come by and train us to use the phones! 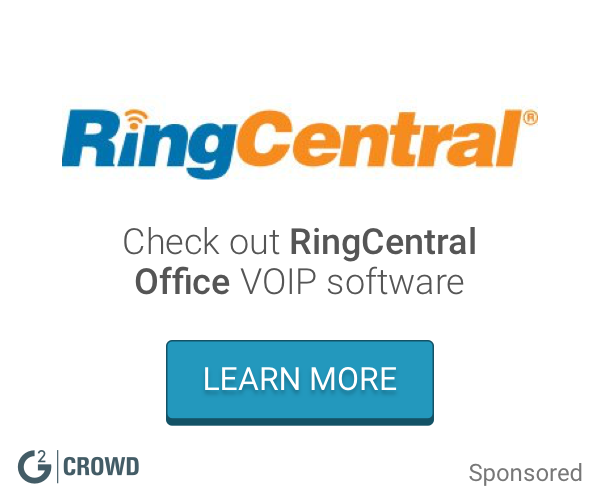 Caller ID, voicemails & much more! Getting our invoices emailed to us makes it so easy to ensure we get them paid on time. In the time we have used voice carrier I have had no problems!! There is nothing I dislike. Paying our bill is a snap!! Our AP is in another state from the service and we have never had any problems getting our bill paid on time, unlike other services we use for this location. "i don't like the support"
I like the way we can manage phones with the user interface, also the quality of the phone service. Most of the time it is very clear. I do not like the funky music when someone is put on hold. Also would like to have choices on ringtones which I don't believe we can change. It's a very easy to understand billing statement and cycle. It has saved us money. Phone lines almost never go down. I appreciate the reliability. I've had no issues that I can think of that need mentioning. 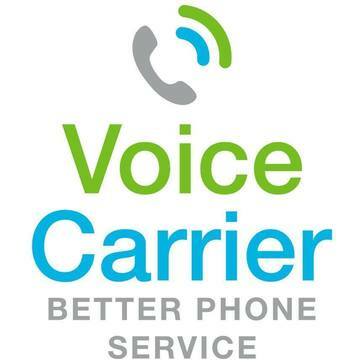 Our overall phone/internet is significantly cheaper using Voice Carrier. "Easy to install, easy to use - and it always works - from anywhere"
Very little interaction with the vendor. Low maintenance account management. Nothing. We have no dislikes with the service. VC Line Service, no problems. I love the flexibility of the product. The simplicity of setting up phones. Phone goes out on my end pretty often and no one claims fault from VC or my internet provider. I have been using VC for about 6 years and it has saved me time and money through the years. "Great Service and Quick customer service"
You can take the phone and plug it into any data port. It provides my voice messages into my email. "Overall telephone service has been OK. "
I like the cost. I also like the voicemail email feature. From time to time customer will say they can't get through the phone. When they call it states our phone has been disconnected. I really like the email voicemail. "After many years as a client, part of the service (faxing) was cut way short and price increased"
The phone service worked well. The look of the equipment is good. Faxing service was cut short. We are now charged $18 a month for only 50 pages. The customer service is fantastic. The product is best-in-class. Issues are handled immediately and effectively. Pricing is good. Not much, VC is a great company and we enjoy the partnership. * We monitor all Voice Carrier Connect reviews to prevent fraudulent reviews and keep review quality high. We do not post reviews by company employees or direct competitors. Validated reviews require the user to submit a screenshot of the product containing their user ID, in order to verify a user is an actual user of the product. Hi there! Are you looking to implement a solution like Voice Carrier Connect?